Shopping cart software that powers tens thousands online checkouts worldwide. "X-Cart 5 is a huge improvement over earlier versions"
I am just about finished setting up X-Cart 5 and I this version is PCI/DSS compliant using our Authorize.Net account with the Accept.js module which I set up and works in testing. Our current Authorize.Net credit card processing using AIM in X-Cart 4 (4.3.1) apparently is non-complaint with Authorize.Net AIM. I have used X-Cart 4 since 2003, probably one of the company's earliest customers!! It worked well for our small non-profit organization to sell memberships and some books and other items or convention meets. The new version will save us money on credit card processing and is even more graphically pleasing, and can be modified easily with different look and feel. A slightly harder learning curve to set up, but once I got familiar with it in a few days, it's fairly easy to add products and services, and enhance products with additional images. X-Cart has a fairly steep learning curve, but after a little studying, it is fairly easier to set up, and much better than X-Cart 4. We mostly use this to sign up memberships in our association using Authorize.Net as our credit card processor. The Accept.js plugin handles the processing to Authorize.net securely and with full PCI/DSS compliance. "Unfortunately we tried this product, fortunately we switched early." We really couldn't find a lot that we like about x-cart. It was difficult to learn, and the integrations only sort of worked. It only sort of worked with the api integrations. It was difficult to navigate, and it felt a little clunky. We really needed a more user friendly shopping cart. We were trying to create a shopping cart integration to our website, but it ended up costing us money, and we switched anyway. I love the simplicity and ease this platform provides me. Other sites charge a fee for every transactions but there are NO fees with X-Cart and they have so much material already loaded into the systems! The inability to send coupons that look like paper prints. Do you like easy? Do you like simple? THIS program is a dynamic choice for my little company. Problems I am solving are the following: Identifying services clients prefer or don't use as much so I can capitalize on those strengths or improve the weaknesses. This gives me great insight into my cusomers' minds. I have only used Xcart shopping cart software. I like that our engineering team can build onto and customize it. Xcart seems to be very buggy. Change one thing and it creates all sorts of random bugs that really mess with our sites. This is our back end website interface so all of our website changes and updates go into Xcart. "Easy to use, easily customized, stable eCommerce platform"
X-Cart is a very stable and easily customizable eCommerce platform. There are many third party integrations, as well as out of the box features that are included. If there is something it is missing, it is easy to work with their development services to implement the change - and fairly reasonable pricing and timelines. Third party developers are overseas. The time difference in hearing back from support. This can be troublesome if in the US and work a typical work week. Client must know to accommodate for this in timelines. Map out all of the pieces you need in an eCommerce platform. Do you need bells and whistles? How many users will be working in the environment? Plans to evolve? Etc? We needed an easy to use ecommerce platform that could be managed in house. We wanted the platform to offer features that are a necessity such as SEO friendly urls, product options, product configuration, and up sells / cross sells. 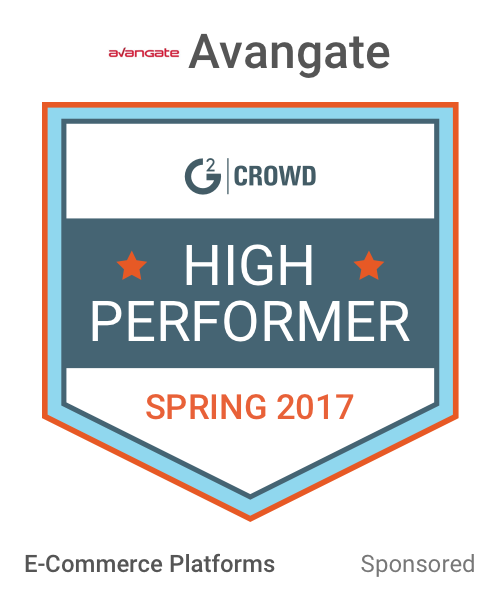 We wanted the platform to be easily integrated with our email marketing solution as well. "Great for developers, not so great for marketers"
There is a ton of flexibility with the platform, and have found we can customize it to do just about whatever we want it to do. There do seem to be a lot of modules available to enhance the functionality that are relatively low cost. There is no built in CMS, so there is no easy, controlled way for the marketing team to swap out ads or make changes on their own. Also, seemingly basic ecommerce features, like category filters are not available out of the gate, forcing you to either build functionality on your own, or purchase a module. Make extra sure you have a developer on staff with extensive PHP experience, and preferably, one who is already familiar with the platform. Gain market share by offering a unique experience. The functionality we've been able to build and implement into Xcart is helping us get there, and the flexibility Xcart offers is a critical component of this. As a Sales Executive, its extremely useful to see your customer's activities and what's in their cart. Glitches when showing prices & discounts applied. Seeing how many people sign up and being able to easily identify fake accounts. it was the most recommended with open source code. i was able to change a lot of the code to suite my needs. "Simple solution to your e-commerce shopping cart"
I like the design templates a lot. I like the fact that its open source, secure and has lot of community followership. PHP. We are in .net space and would like to be in that. Providing a cart to add different items that belong to different currencies. The interface and ease of use. Orders displayed in organized manner. Sometimes very slow. If connection dies out or slows down loss of data occurs. Freezes up and erases data. Easy to use, but needs a lot of work. Would like better technical support. Nothing, it's great lightweight software. Take the leap if you want to succeed. 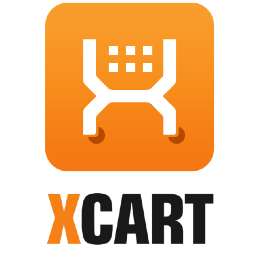 * We monitor all X-Cart reviews to prevent fraudulent reviews and keep review quality high. We do not post reviews by company employees or direct competitors. Validated reviews require the user to submit a screenshot of the product containing their user ID, in order to verify a user is an actual user of the product. Hi there! Are you looking to implement a solution like X-Cart?